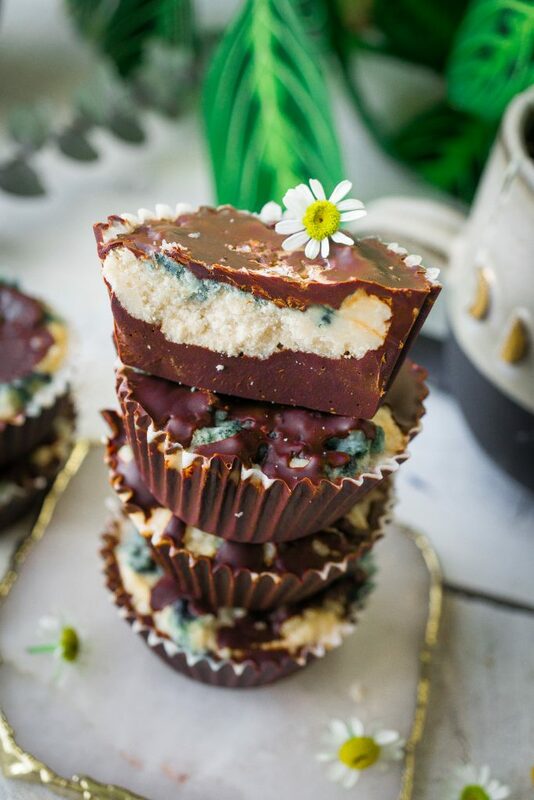 Minty Mocha Coconut Butter Cups are chocolatey, buttery, and so easy to make. With the temperatures warming up they are very refreshing & delicious. If you have been reading my recipes lately you know I’ve been obsessed with the herbal coffee everything. I’ve already loved the taste of coffee, but too sensitive to the caffeine. I found an amazing herbal coffee that tastes absolutely divine. RASA coffee or should I say Koffee? However, they do offer, a herbal blend actual organic coffee combined. Which is also amazing, to say the least. Now back to the coconut butter cups, reason number a million why I love making dessert cups. They are so incredibly speedy to make, with minimal ingredients. You can make them with your kiddos, yourself at any time. 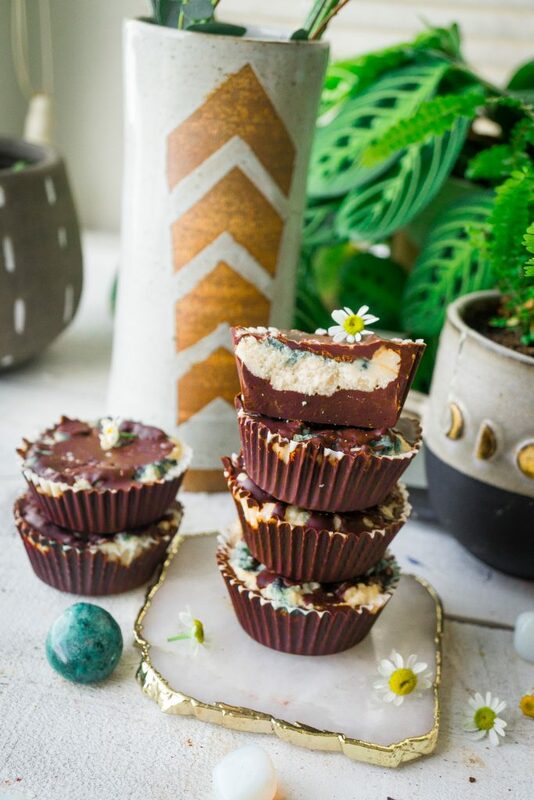 All you need is a muffin pan, parchment paper molds, the coconut, and chocolate goodness. 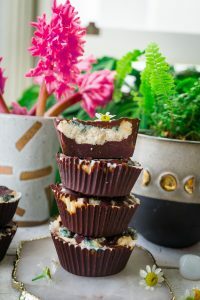 Coconut butter cups are good on their own but when you add in herbal or real coffee, game over! 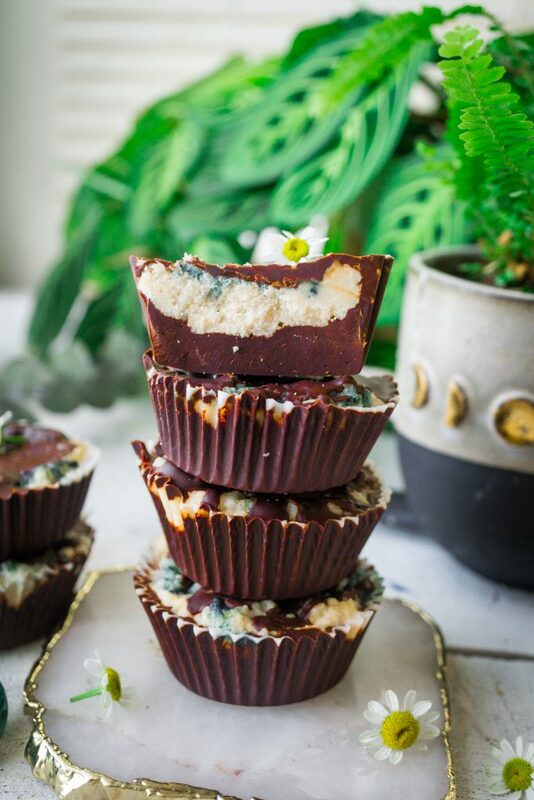 Mint, Coffee, and Chocolate is such an abundant flavor combination. 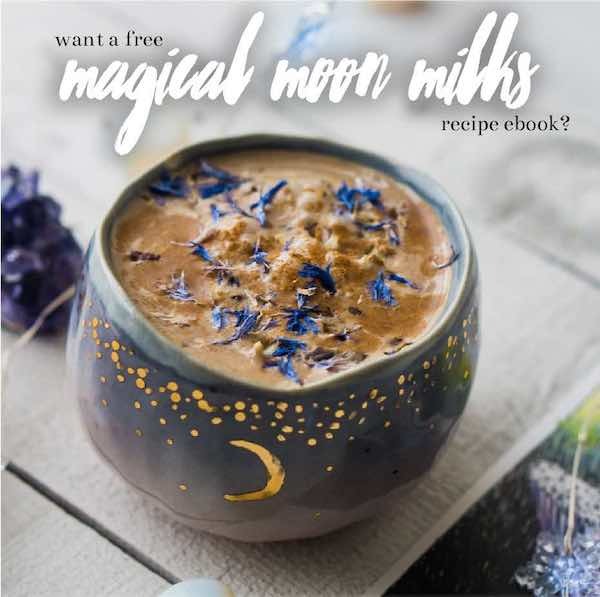 Not to mention the adaptogens you get added in on the side, it really can’t get much better than that. 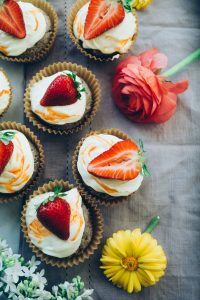 I love making these anytime I need a quick dessert to whip up for a party, gathering or when I have a sweet craving to fulfill as soon as possible. The best part is these cups have added health benefits coming from whole, and unprocessed ingredients. Coconut butter benefits can aid in weight loss, boost immunity, contains iron and fiber. I hope you take a couple of minutes to make and enjoy these for yourself or your family! Steep 1 tablespoons of Cacao RASA in 1/4 cups of filtered water. Pour the melted chocolate chips and sweetener into muffin cups with parchment paper cups. 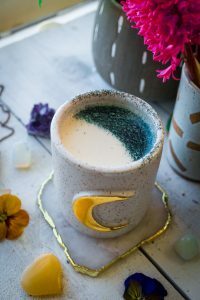 Melt coconut butter in a new clean double boiler, add in the steeped RASA herbal liquid, spirulina, and mint extract, into the pan. Pour the coconut butter & coffee mix over the chocolate. Pour the chocolate over the coconut butter. Put the pan into the fridge or freezer overnight or for 1-2 hours. Enjoy when they are completely solid!